Over the past several days we have seen more news on the 201 petition by Suniva and it has caused a further stir in the volatile solar markets in the US. The question everyone is asking, is what should I do to hedge against this incoming price hike, and is this really going to happen. Here is our take on the scenarios. The ITC has decided to take up the case as they think it has merit and Suniva was harmed. The ruling will come out in late September and sent to the President in November. This case assumes that nothing else happens. In this case expect to see panel price rise to meet the anticipated settlement price. Suniva is asking for 78 cents/watt but this is their ‘ask’. We expect it to settle at 60 cents or so. 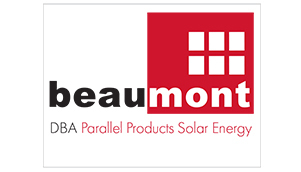 Expect to see current inventories of modules sell out prior to the settlement, don’t expect to get panels for Q4 delivery unless you want to pay up for them, or order expensive modules from LG or SunPower- which no doubt will not sell out. Many module suppliers are sold out now through November, utilities are buying up inventory that is landed in the country in anticipation of a price jump due to the case and due to a supply/demand imbalance. Expect to see all in EPC prices rise by roughly 30-50 cents/watt on systems due to panel price increases. Remember that EPCs will need to mark up the additional price they are charging for the higher priced modules. People will shift their focus to thin film, and companies like First Solar will be in demand. Remember this 201 tariff is only for CSi- or crystalline silicon panels, cells, and assemblies. Thin film is not suited for all systems though and density is down from mono- CSi. Expect to see imports from free trade countries like NAFTA and Korea to skirt the tariff. This will only happen after the ruling is contemplated by the ITC and sent to the President. The Chinese decide to buy out SQN Capital (a creditor of Suniva- see link below) and pay them for the sale of the $55M in manufacturing equipment- and they would shut Suniva down and the case would be closed. There will be no further rule required by the ITC in this case, and then the market goes back to normal mode of operation. Our opinion is that this only happens at the 11th hour, maybe before this hits the President’s desk. The ITC decides to rule out the case and not proceed with recommendations for supporting the petition. If this happens it will be in September, and it will be too late in the year to effect 2017 builds. It is also the least likely scenario, since we believe that the past CV/AD tariff cases were supported by the ITC and went into effect back a few years ago with the SolarWorld petition against the Chinese. Should We Lose Sleep over the Suniva Filing?